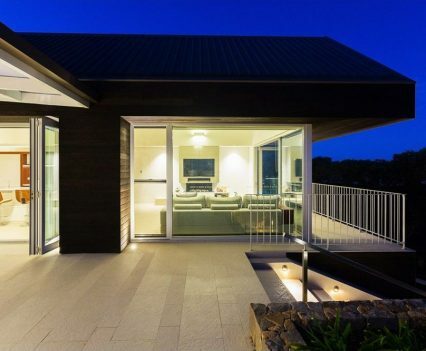 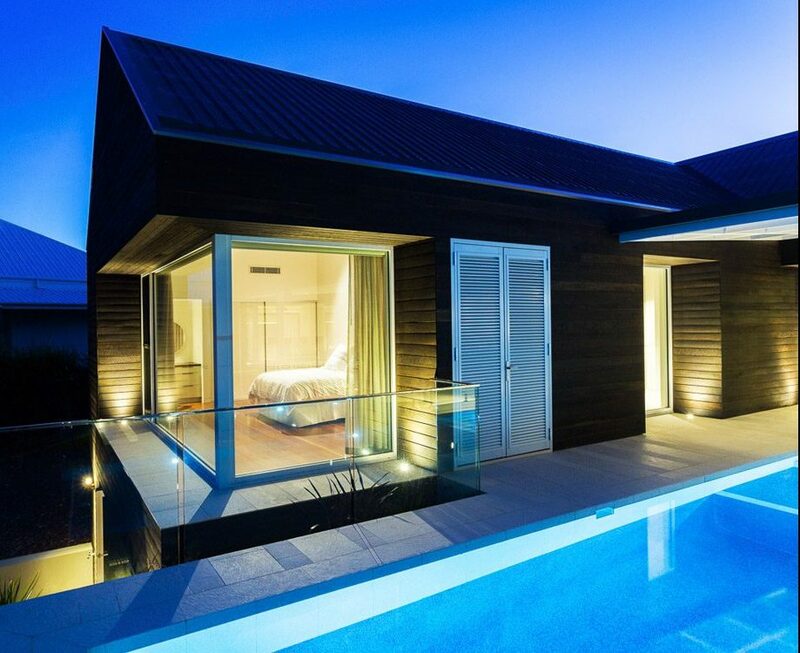 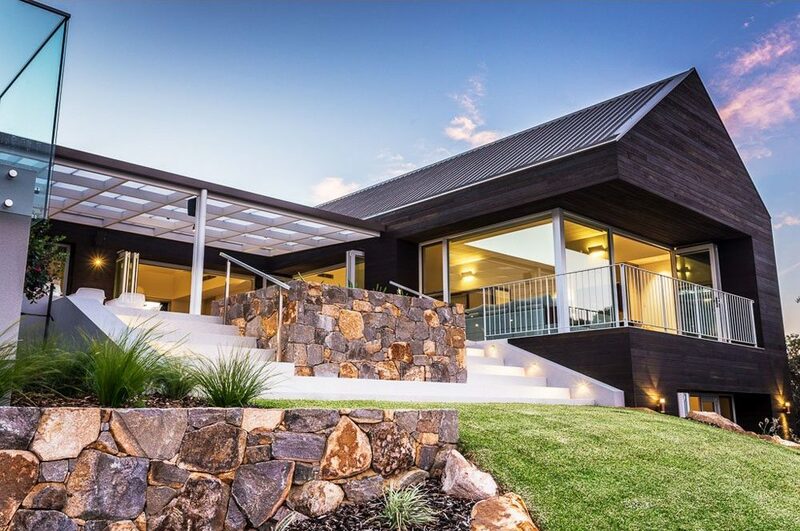 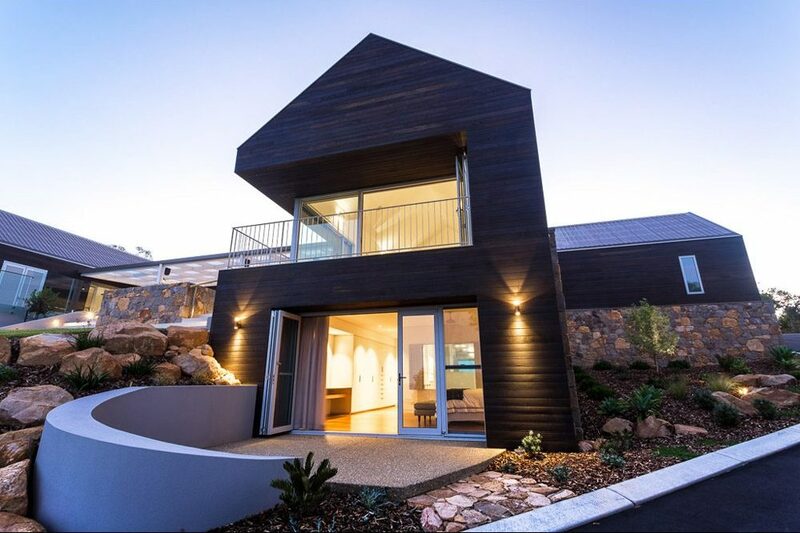 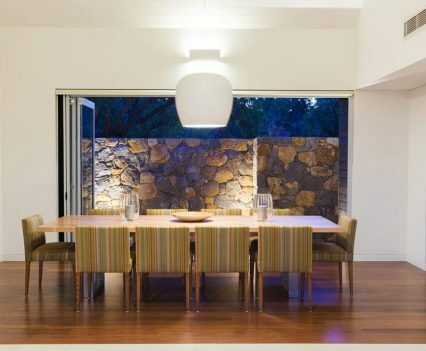 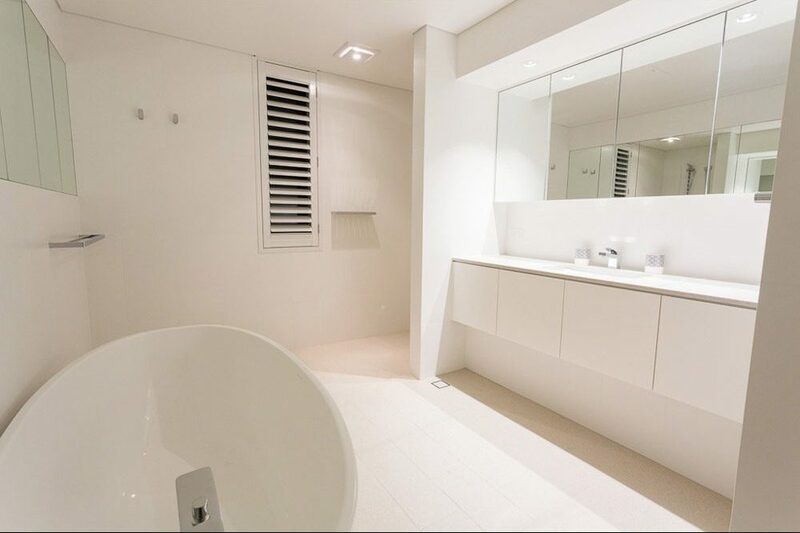 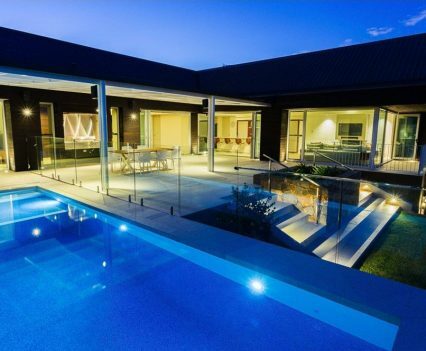 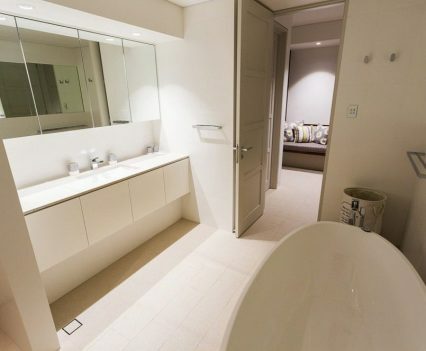 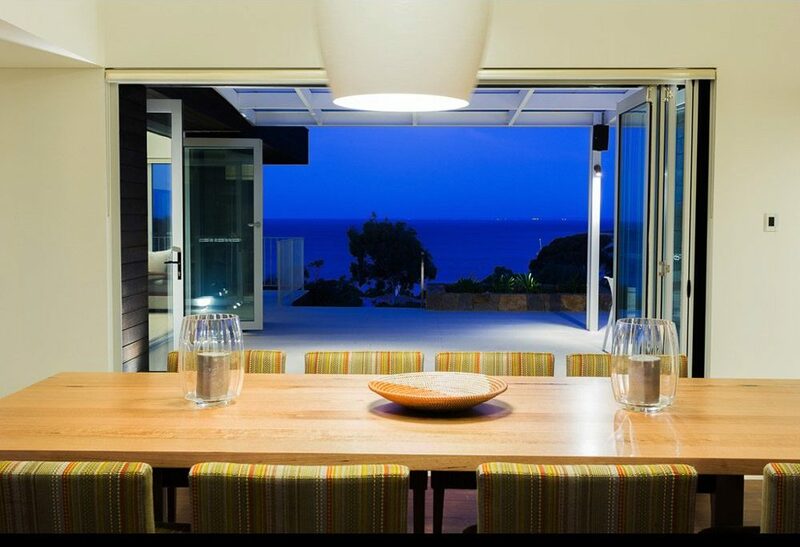 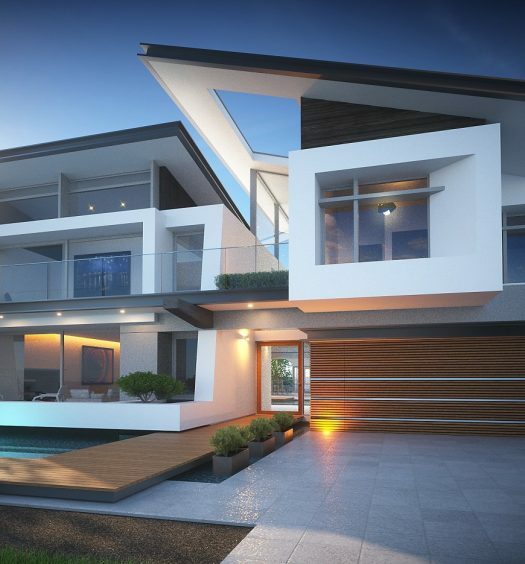 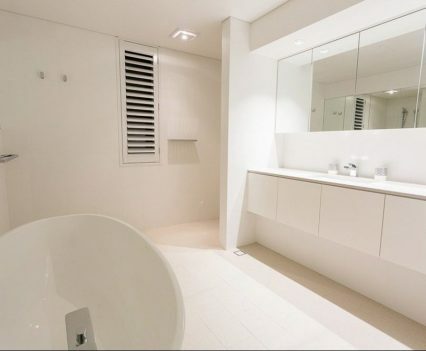 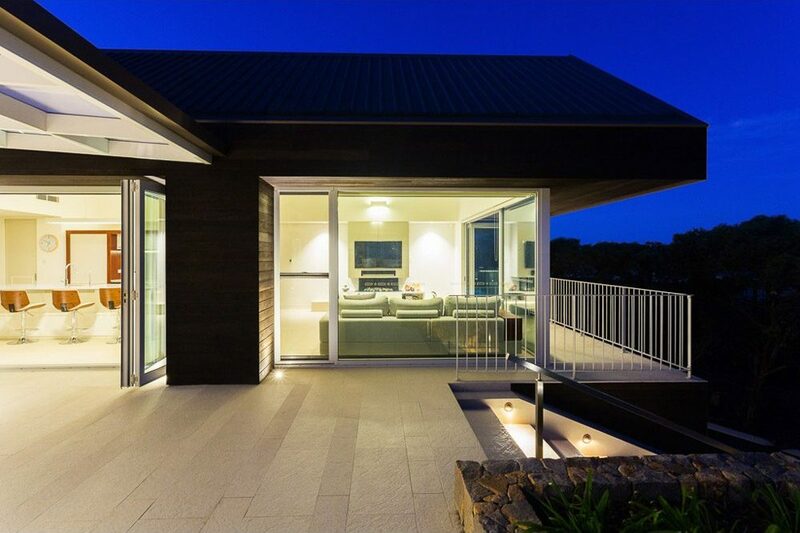 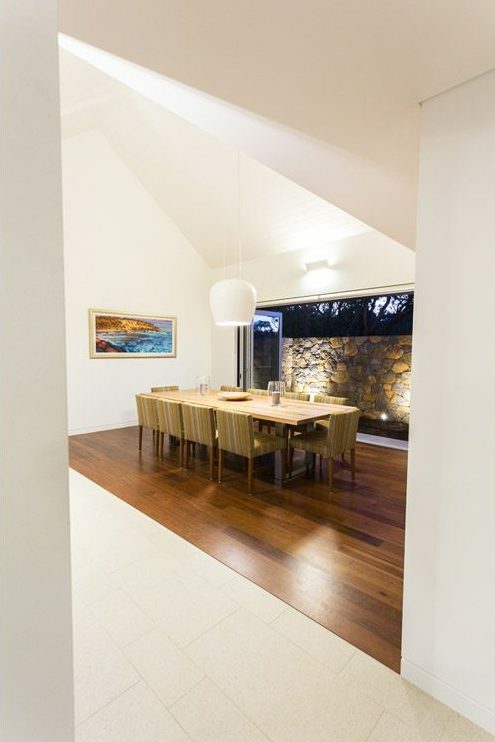 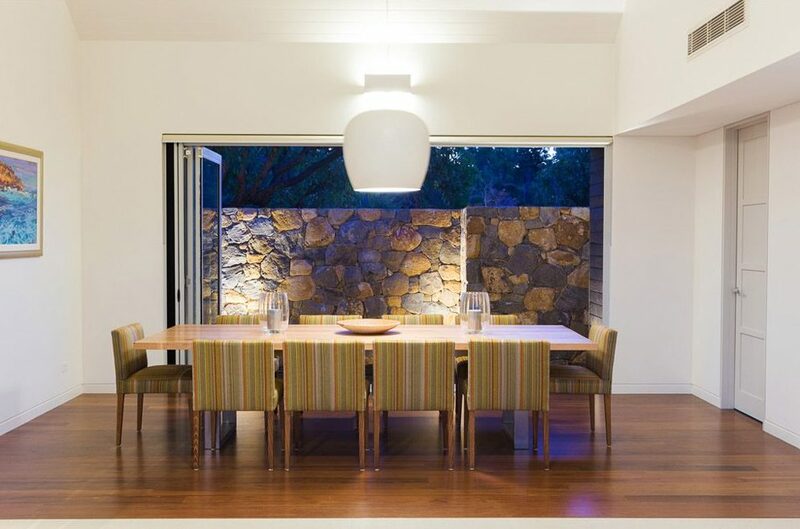 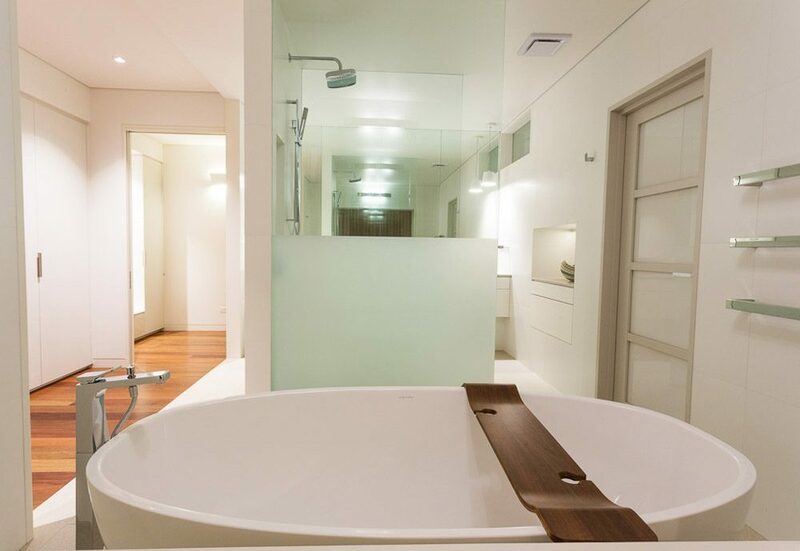 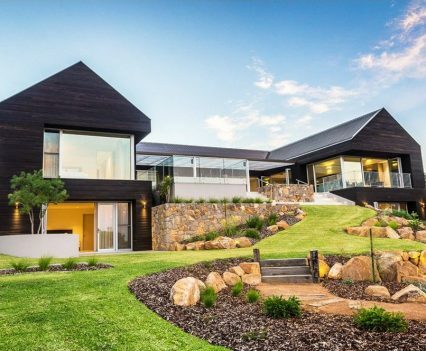 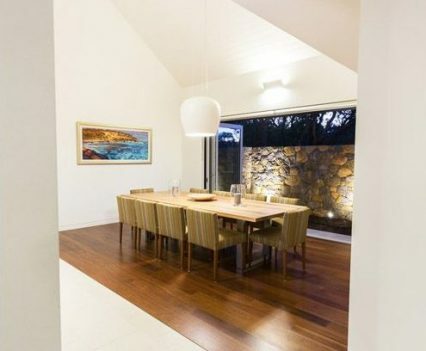 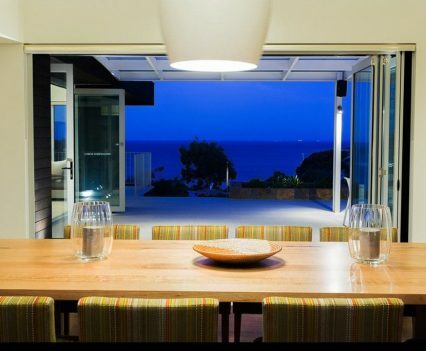 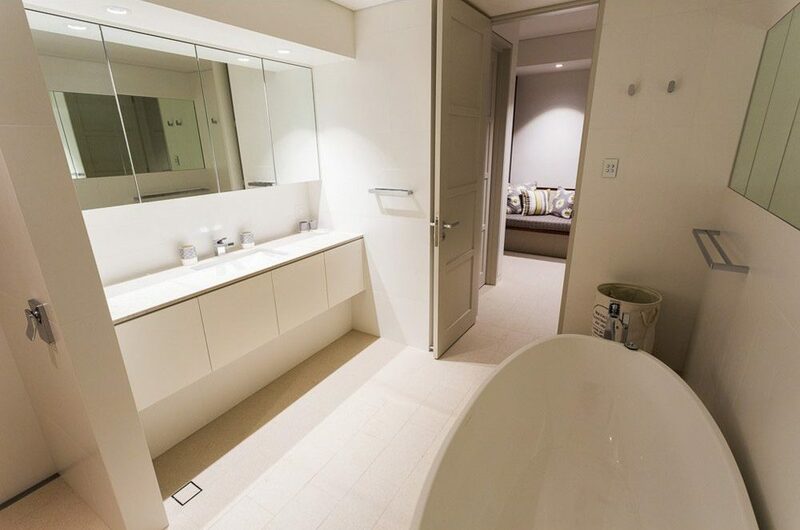 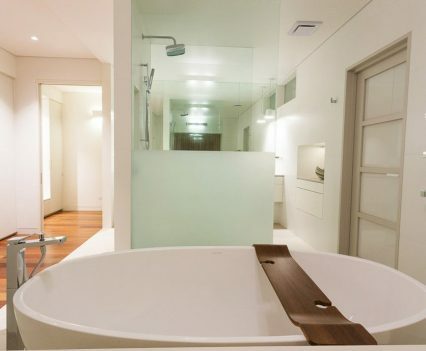 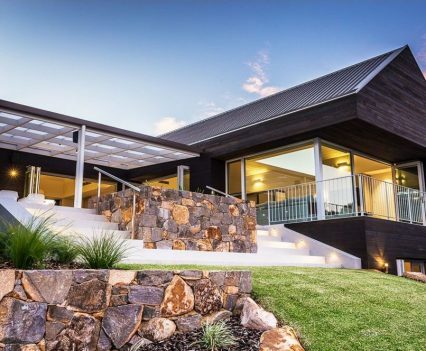 Despite facing one of the steepest and most difficult sites they had ever built on, WA custom home builder, Tallwood Homes in collaboration with Dane Design Australia overcame all obstacles with this stunning home in Eagle Bay, which has seen it awarded several Housing Industry Association Awards including WA Timer Framed Project of the Year 2016. 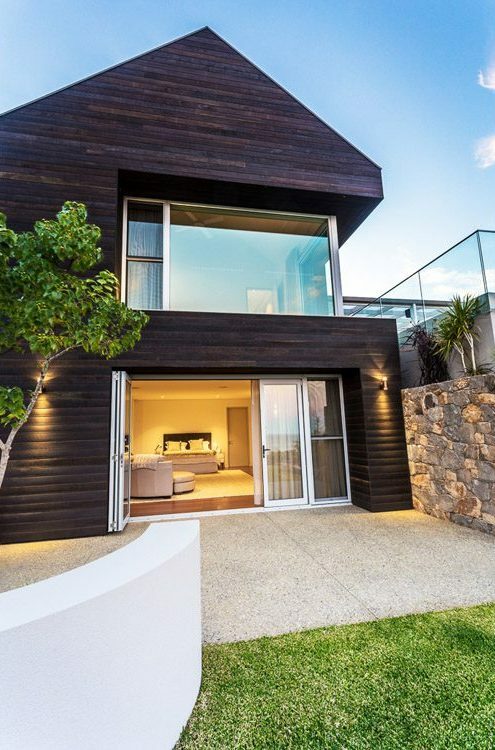 Rather than working against the steep site the home was expertly constructed utilising the natural contours of the land to create a games room and master bedroom suite within the undercroft, boasting the same ocean views as the main floor of the home. 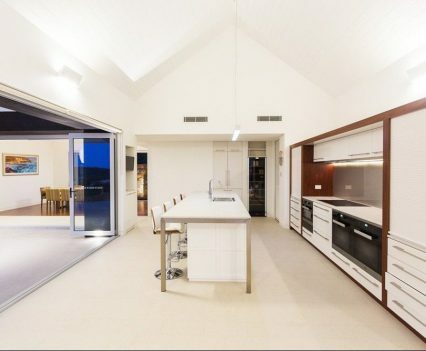 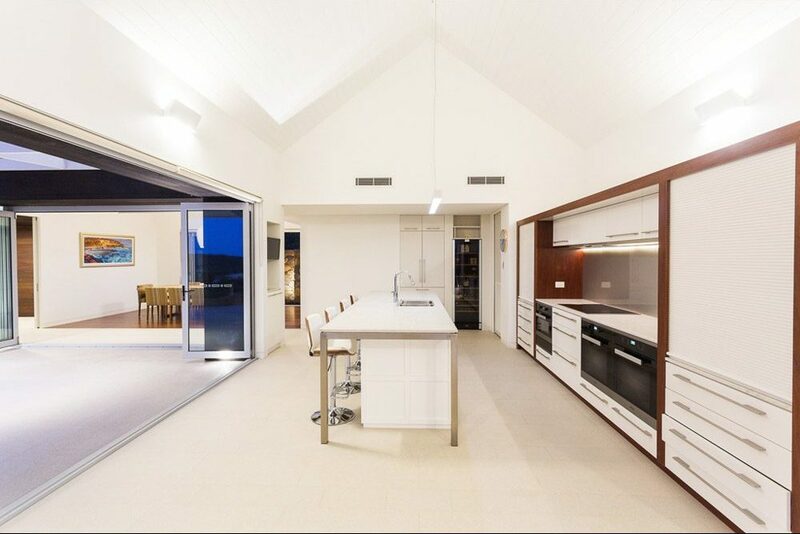 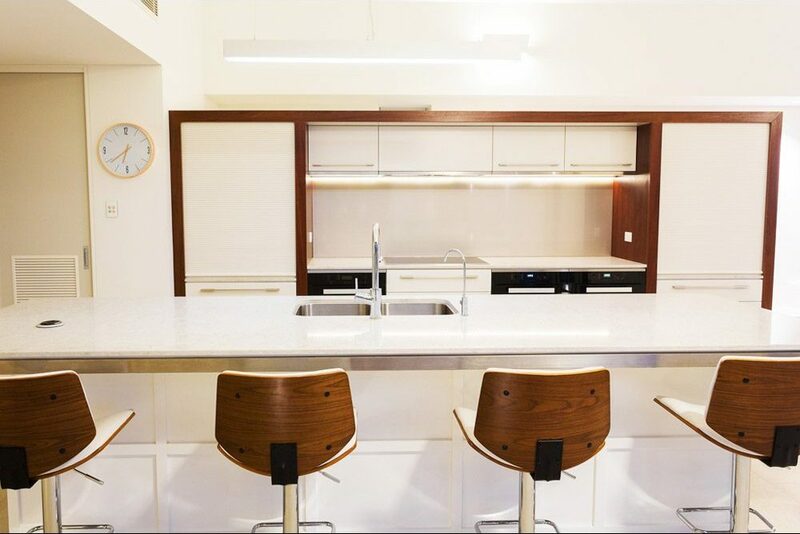 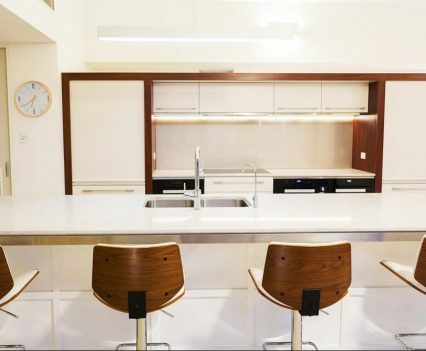 On the main floor, the open plan design of the kitchen and living gives this home a bright and airy atmosphere that’s further added to by the cathedral ceiling, while extensive use of glass brings the indoor and outdoor living areas together. 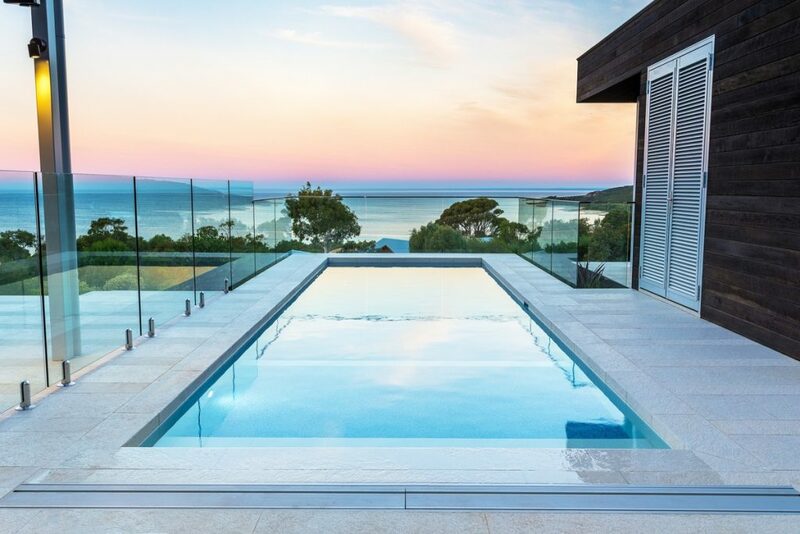 Outside there’s a large tiled terrace leading to the concrete swimming pool that also features an unobstructed view of the ocean. 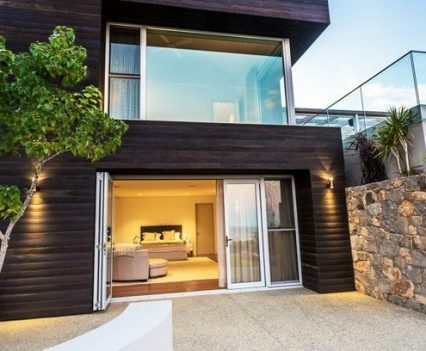 The exterior of the home is dramatic with its use of stone and dark stained timber cladding. 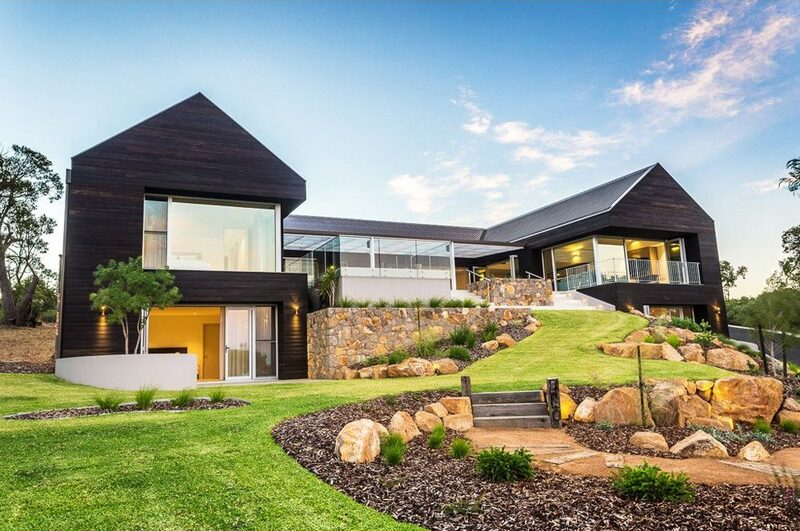 The same coloured stone continues into the landscaping cascading down the front-facing slope of the site. 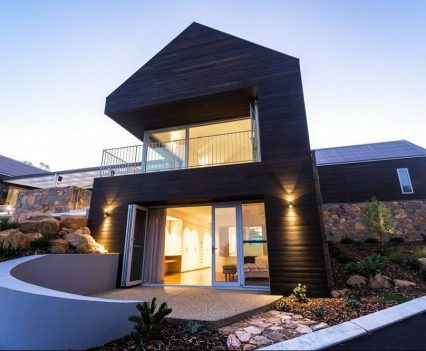 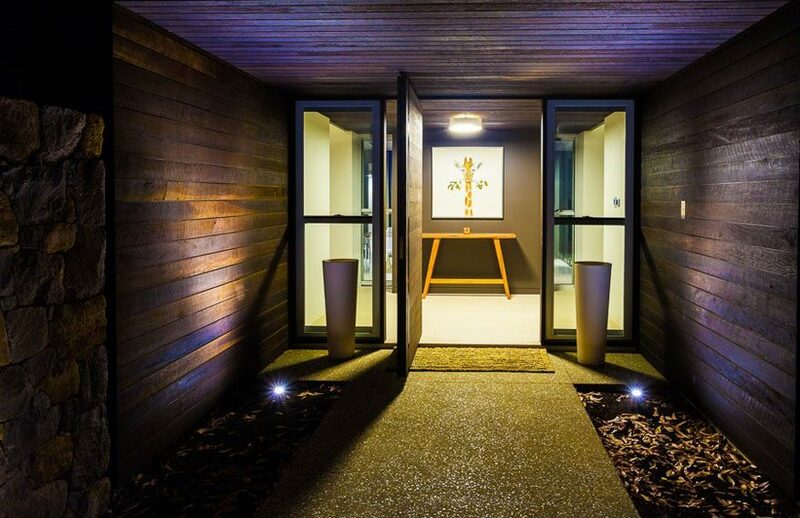 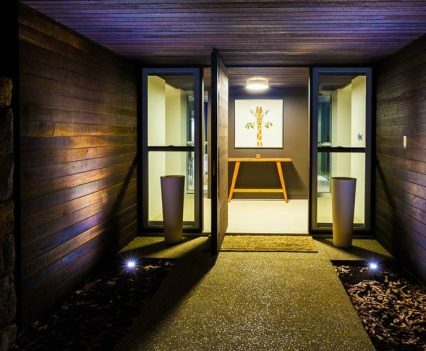 With its many dramatic design features, it’s easy to see why this home received five awards at the SW HIA Awards including Timber Framed Project of the Year, Outdoor Project of the Year, and Innovation in Housing Project of the Year. 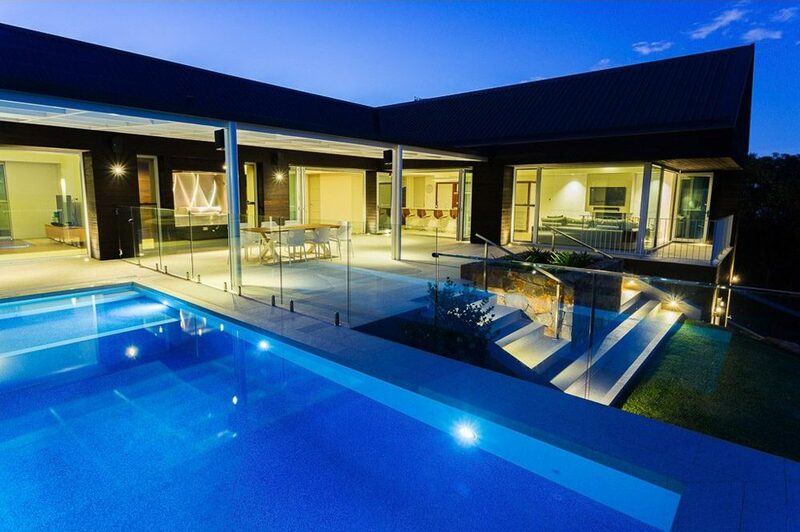 This stunning custom home is just one of many multi-award winning projects featured in our luxury homes annual WA Custom Homes 2017.